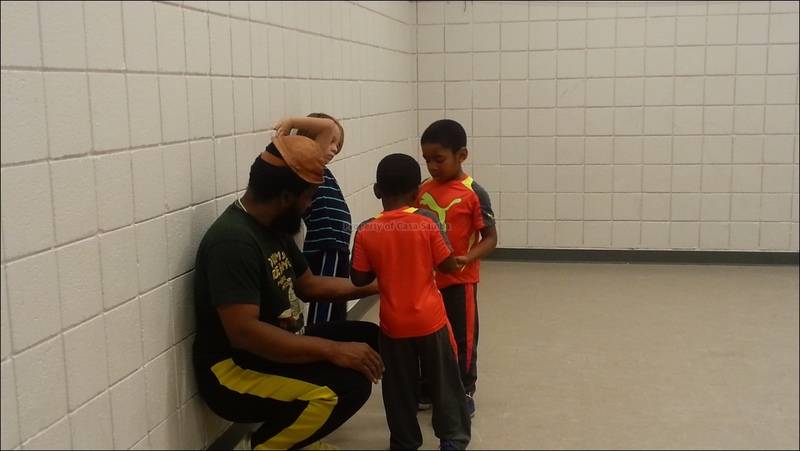 Learn your self and then teach others Empowerment After the students have reached certain requirements we start to encourage them and instruct them on how to teach other incoming students. 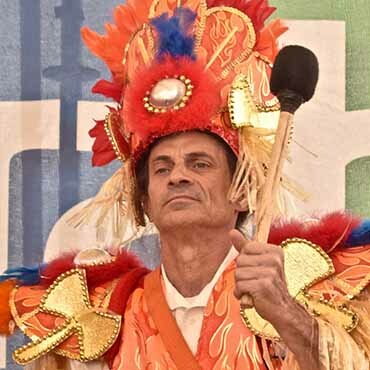 - History and origins Samba Parade groups as they are similar to the New Orleans parade groups as it is known in Brazil. Names and identification of samba instruments, Learn various dance movements from Brazil. One of the most unique things about this class is that you and the children can be in the same Location and take separate classes. You can leave Your children and pick them up or stay and watch. We like Parent feedback and support. 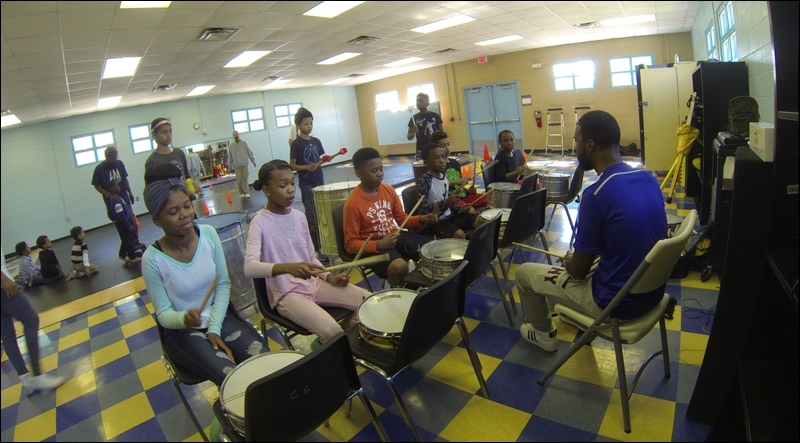 BUILDING GOOD CHARACTER and learn about themes like Respect, Responsibility, and Fairness through drumming, dancing, and singing Brasilian Culture and have BIG FUN doing it. Discover the AMAZING MUSIC of Brasil and learn about DIVERSITY through the Arts. Samba Kids is used as a form to help families spend time together, by having kids classes going at the same time as the adult classes. In this program parents can watch thier kids learn Stiltwalking and Brasilian rhythms and cultures while having the option of takeing a Samba dance class for themselves at the same time. So you get to enjoy being with your children as the whole family is taking classes. The recommended age for the children's class start at five years old, the classes are free for all children under the age of 18 years old. Located at the N.O.R.D.C. Center 800 Race St. New Orleans, LA. 70130. The goals of these programs is to Educate, Entertain and Inspire kids, community and all types of people to "travel to a different part of the world through a interactive cultural enrichment experience" and I like to work hard to keep the information exciting, fresh, authentic and engaging. 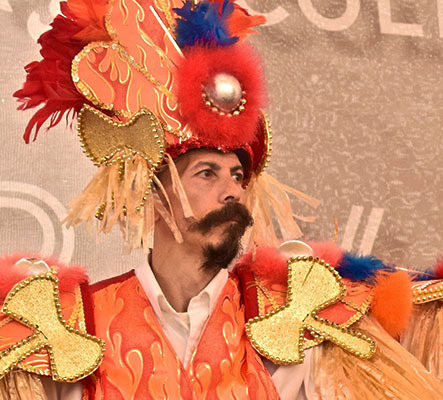 The goals of the programs is to audiences with an authentic Brasilian Carnival and folk arts experience. The Samba Man has sparked a community group called Samba Kids sponsored by Curtis Pierre and Casa Samba, a New Orleans based samba school. 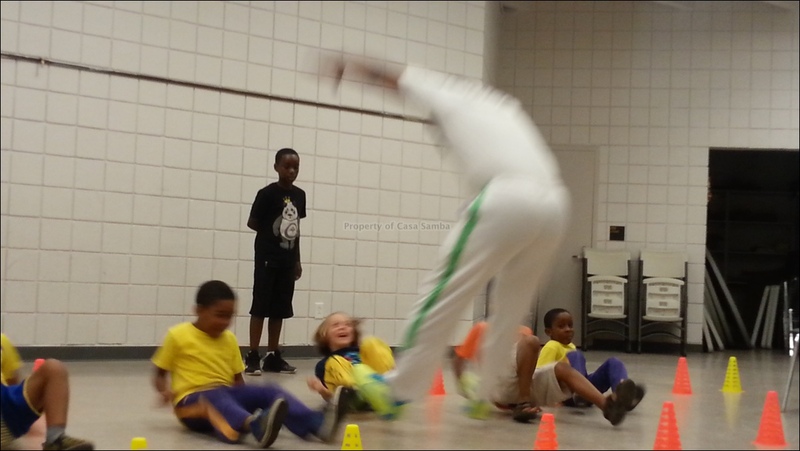 We accomplish this through weekly open rehearsals, classes and frequent school and university workshops/presentations. Additionally, we maintain a center that works to educate the New Orleans community and the Gulf South region of the rich cultural traditions of Brasil and the similarities which bridge Carnival in Brasil with Mardi Gras in New Orleans emphasizing that importance of their African tradition and influences. 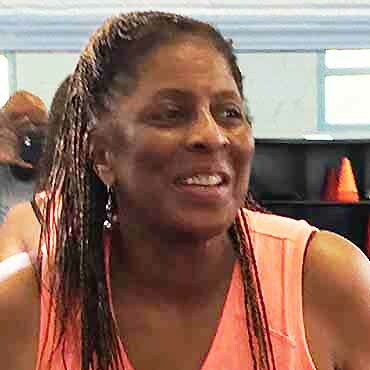 Professor of the Brazilian dance classes, Carol has been the Afro Brasilian Dance instructor for Casa Samba for over 23 years and has hosted many workshops at all the major universities located in New Orleans and the surrounding areas. She is currently an adjunct instructor of Afro-Brasilian Dance at main campus of Tulane University teaching Afro-Brazilian dance as a credited course in the dance department for the past 16 years. "A different way to spend your Saturday morning and learn about another culture"
My positive experience with Casa Samba is very rewarding. It has allowed me the opportunity to learn about Brazilian percussion and learn to play different instruments. 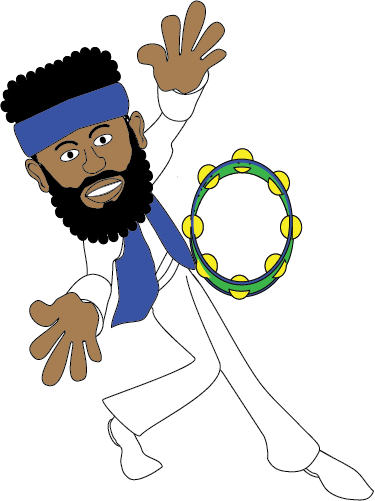 Through my time with the group, I’ve learned African, Brazilian and Cuban rhythms. 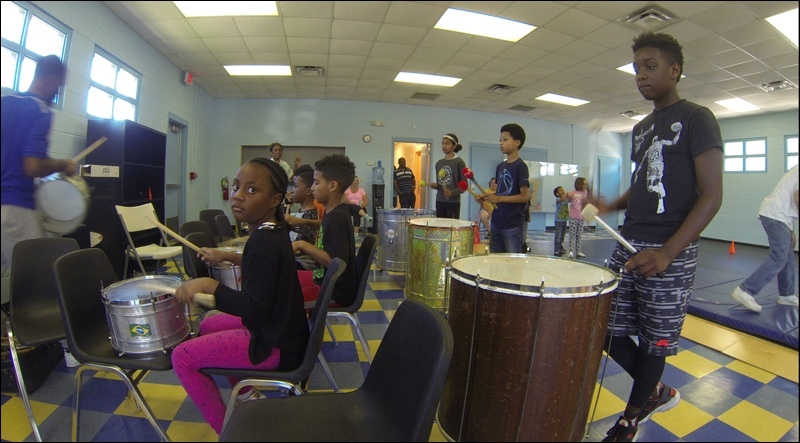 Casa samba is very important to the community to teach the youth about music and culture of Brazil & Africa. Additionally, it gives them a hands-on learning experience like never before, such as drumming, dances, stilt walking, etc. Casa Samba is one of the few truly inclusive dance troupes in the city. Members span many different stages and walks of life. It has been a truly enriching experience to dance with and get to know all of them. I have been dancing with Casa Samba for almost a year. Casa Samba provides plenty of opportunity to get to no others in the community who share the same interests of learning the culture of Brasil. In that pool, there begins an incredible exchange of information - and diverse friendships are formed. Through this diversity we become a much smarter, culturally sensitive and art appreciating group and carry that message forward - for life. Casa Samba is important to me on a very personal level. 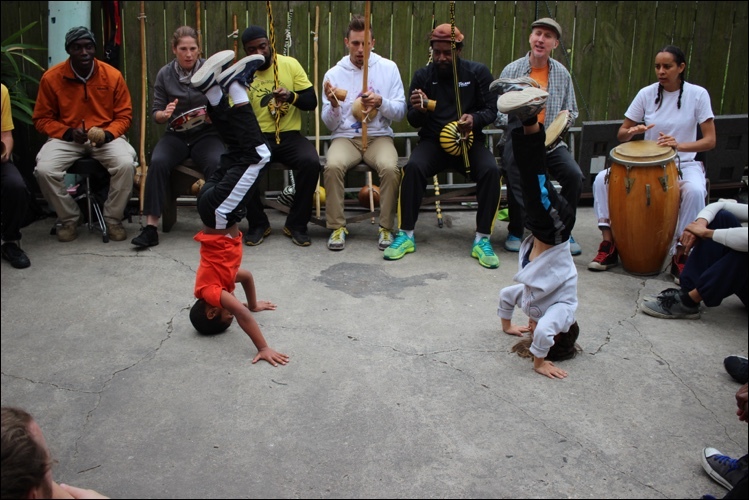 Therefore, I would like to highlight the ways in which Casa Samba is an important part of the New Orleans community: 1) Casa Samba offers the opportunity for people to come together and learn about a different culture, which is so important given the change in the landscape of New Orleans post-Katrina. It is a multi-cultural environment and helps to promote a better relationship between the “black and brown” communities, which have experienced a rise in tension and violence. 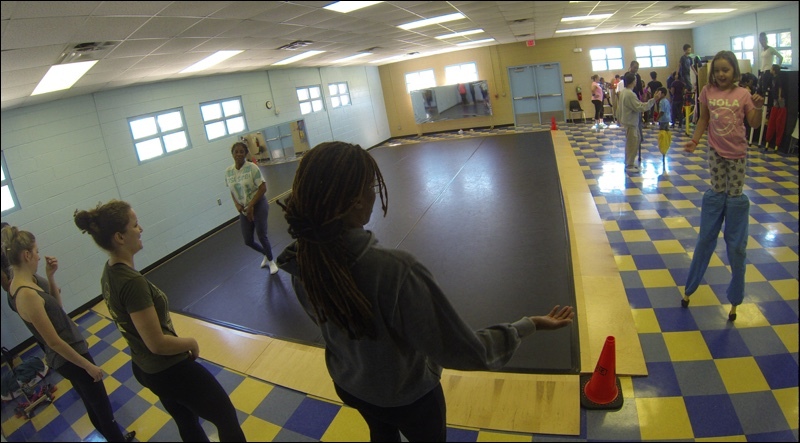 2) Casa Samba provides a low-cost form of aerobic activity, which works to combat the public health crisis of obesity and other diseases facing the New Orleans population. Casa Samba is important to me because: My family moved to New Orleans 5 years ago. I have always loved this city and its diverse mix of people and cultures, and moving here was something I've always wanted to do. Part of what makes this city special, to me, is Casa Samba. My daughter flies out of bed most Saturday mornings because she knows she will have a fun morning of drumming and stilt walking. Watching Curtis orchestrate a group of kids who are entirely different from one another in age, race, socio-economic status, to get them all playing together, is quite amazing. Casa Samba is important to me because: You see the pride on the kids’ faces as they hear what they are creating, together. 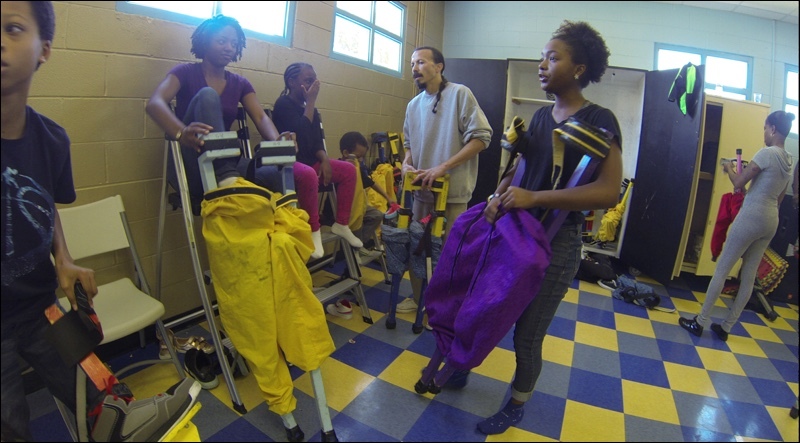 When they practice stilt walking, the kids go from timid, unsure.... to confident and proud, in a matter of weeks or sometimes minutes. Paul is calm, encouraging, and most importantly, patient. The kids feel comfortable with him. They know that he won't let them fall. I hope Casa Samba will always be around. Although we've only been here 6 months, this organization has already become an important part of our life here in New Orleans. Children should be and good physical condition in order to take the class for the stilt walking. 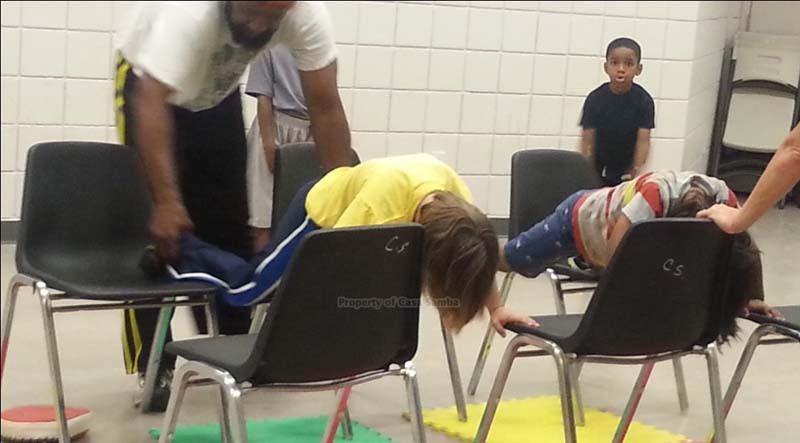 Although it does not require strength, why this is necessary for them to go through the different obstacle course Challenges we set up for them. 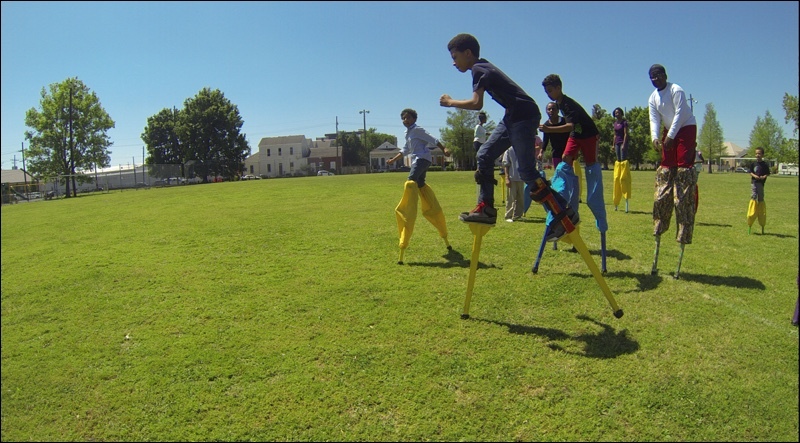 Casa Samba’s stilt walking class for kids teaches a new form of confidence and respect. 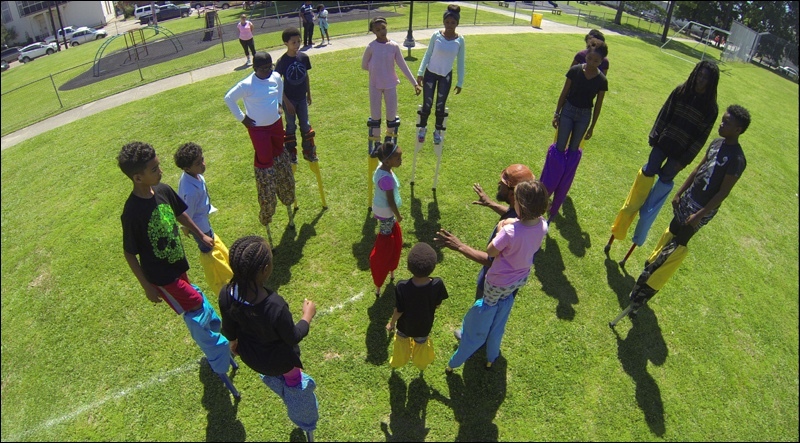 Kids are taught by professional stilt walkers and as they learn and become more professional the kids learn to teach other kids like themselves. The classes start with various balance and strengthening exercises, after they are brought to the training area where they will be paired with a professional and the students stilt walker. During his time they are given instructions and tips on how to stilt walk and be safe. 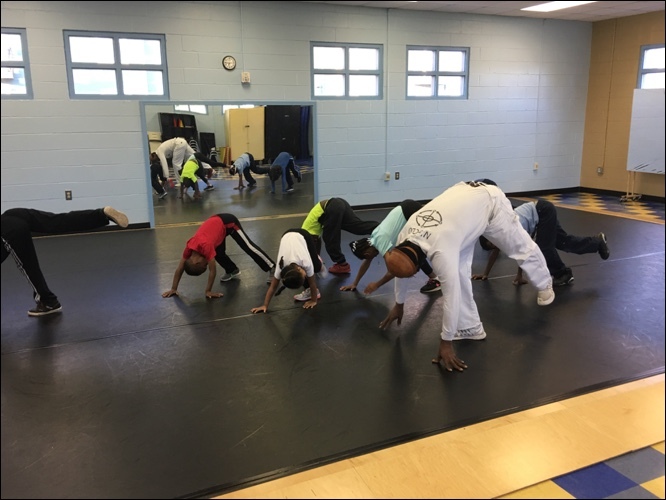 Open registration walk-ins are welcome children's class 6:00 to 7:00pm FREE for 18 and under Attire;Sneakers T-Shirt and loose fitting clothes no shorts or tank tops Classes taught by MESTRE Curtis Pierre Student of Mestre Cobra Mansa. Origins of Capoeira Angola: The roots of "Capoeira " are in Angola, West Africa Its presence in Brasil dates back to the 1500's with the African Slave trade. This new art form of Capoeira came with them as part of their indigenous culture. 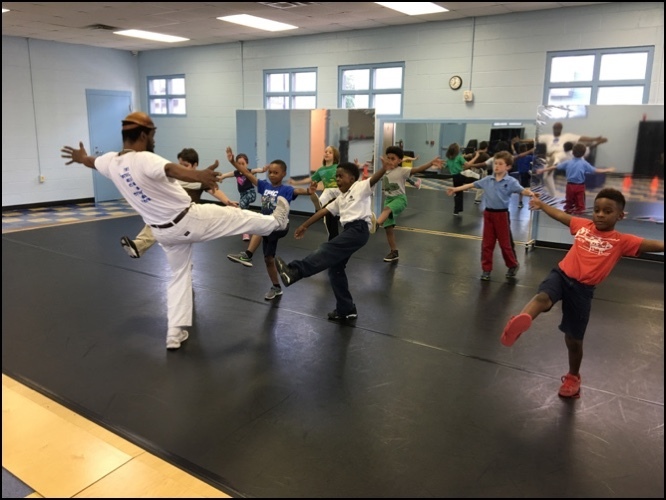 Capoeira was originally an Angola, "Zebra dance", used to train young men that exhibited great strength and endurance. As a "Rights of passage", the young men who past these tests were then groomed for position of authority within their tribe or clan. Copyright © Sambakids. All rights reserved. A great way to spend a family day together come join us anytime.